Winnie the Pooh wallpaper. 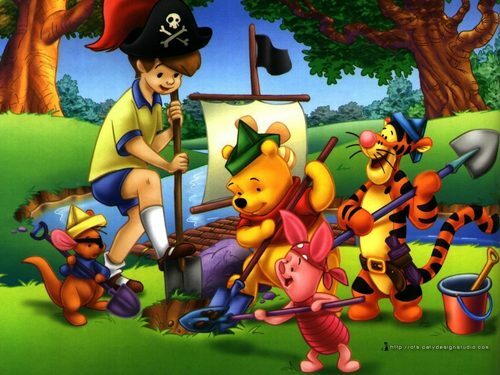 Winnie the Pooh and Friends digging for treasure.. HD Wallpaper and background images in the Winnie the Pooh club tagged: winnie the pooh piglet eeyore christopher robin tigger digging for treasure disney wallpaper. This Winnie the Pooh wallpaper might contain anime, fumetti, manga, and cartoni animati.